Work on a 113km subsea electricity cable which enables renewable energy from the far north to connect into the national grid has been completed. Scottish and Southern Electricity Networks Transmission (SSEN Transmission) said the £970 million project is the most significant investment in the north of Scotland electricity transmission system since the 1950s. The link uses High Voltage Direct Current (HVDC) technology to transmit power through the subsea cable beneath the Moray Firth seabed between new converter stations at Spittal in Caithness and Blackhillock in Moray. Constructed over a period of four years, the project also involved work at eight electricity substation sites and required two overhead electricity line reinforcement projects. The link has already enabled turbines from Beatrice offshore wind farm and Dorenell onshore wind farm to connect to the national grid, with a further 100mw of onshore generation in Caithness and Ross-shire due to connect in the coming months. SSEN Transmission, the wholly-owned subsidiary of SSE, said the Caithness-Moray link provides up to 1,200mw of capacity to transmit power from the increasing sources of renewable energy from across the far north of Scotland. Dave Gardner, who led the project as SSEN’s director of transmission, said: “The successful energisation and commissioning of the Caithness-Moray link, on time and within budget, is a significant achievement for SSEN and everyone involved in the project. 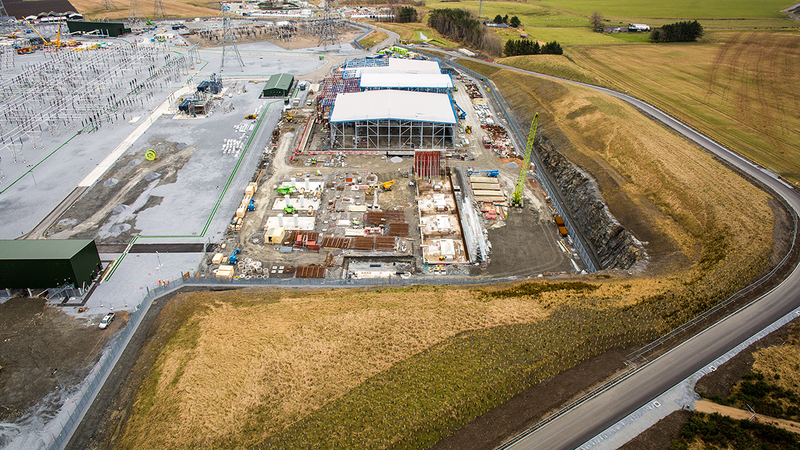 “Caithness-Moray has been a highly complex project requiring very high standards of project design, development, construction and commissioning. “It has been delivered by a team of committed and skilled people, working closely with contractors and other stakeholders. It will support deployment of renewable energy in the north of Scotland for many years to come. He thanked all those who contributed to the success of the project.